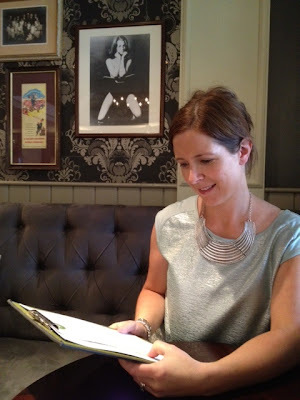 I've worn the blue jeans, white vest and necklace lots since I got them (as you'll know if you read this blog every day) but I've yet to share the pictures of my first outing in the mint coloured metallic top. What a find for just £7! This top is one of those great finds you come across in Primark now and again. It's got a subtle metallic pattern on the front only, with jersey on the back - but not the clingy jersey you sometimes get in these tops. Instead, it's a more flattering heavy jersey. There's also an exposed zip detail on the back. 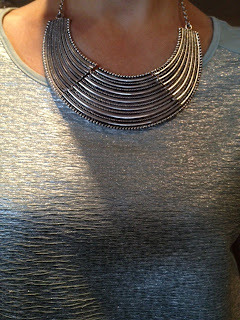 It's a great wee top for the price and I love it with this statement necklace, which our waitress wanted to know all about! The menu was brilliant - a light lunch and a glass of wine for £8! Can't beat it with a big stick....just like Primark really. Which reminds me, thanks for all the great comments on my Tall Girl post yesterday. I was so glad to be able to let you know about Primark's tall range - I predict a sell out this week, thanks to Rachel's recommendation! Before I go, there's just a few days left in my LK Bennett Competition - click on the link to enter. It's a good un! So satisfying when that happens. The top does look lovely. oh that necklace is to die for .. I NEED it but don't have a primark nearby - Hope they do online ordering soon!! Love the necklace , I can't wear necklaces but they look great on you. 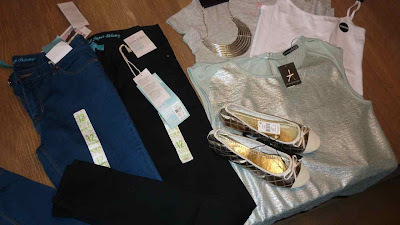 Great primary haul ) or as we used to call it in our best French accent "pennies boutique "
I have the top in gold and have worn it loads, great with skinnys and a blazer. I saw that bag today in Kildare Village and am SO tempted. What do you think??!! 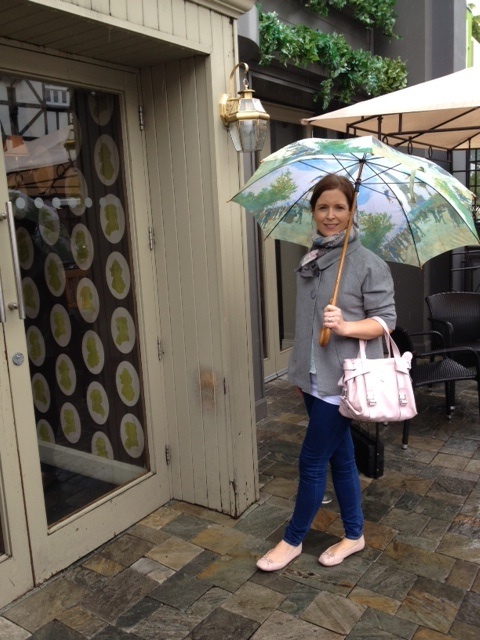 Could you tell me where you got that lovely huge umbrella?